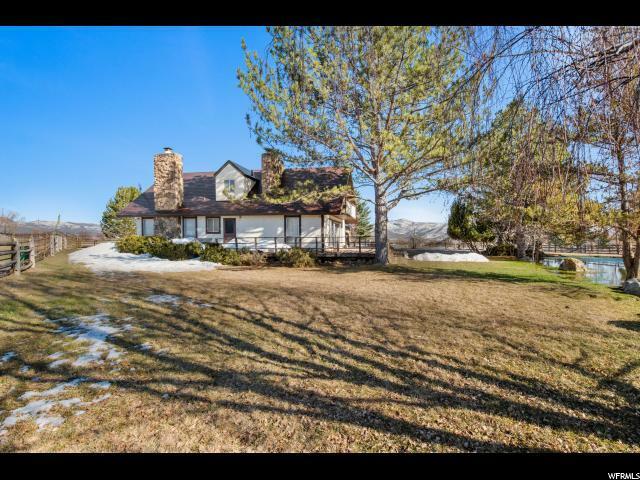 Sitting on just under 9 acres, this beautiful horse property is perfect for someone who is looking to take a step back in time, slow down, and still enjoy all the perks of being within 15 minutes of Park City, UT. 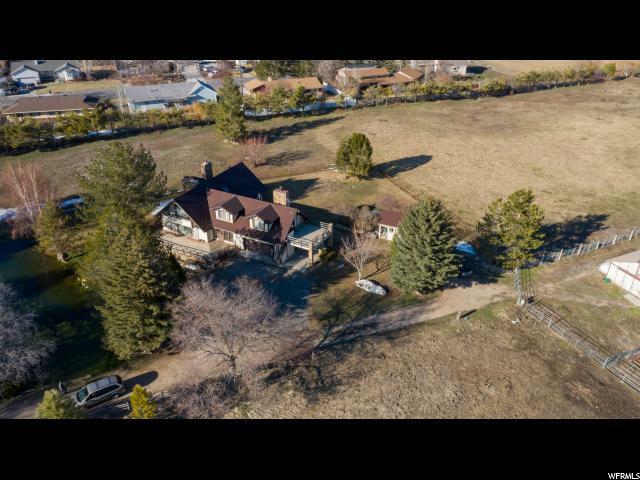 This property was previously owned by a race-horse-breeder, which means all the amenities (beautiful multi-stall barn, tack sheds, outbuildings, etc) are all included, as well as the land to grow your own alfalfa. 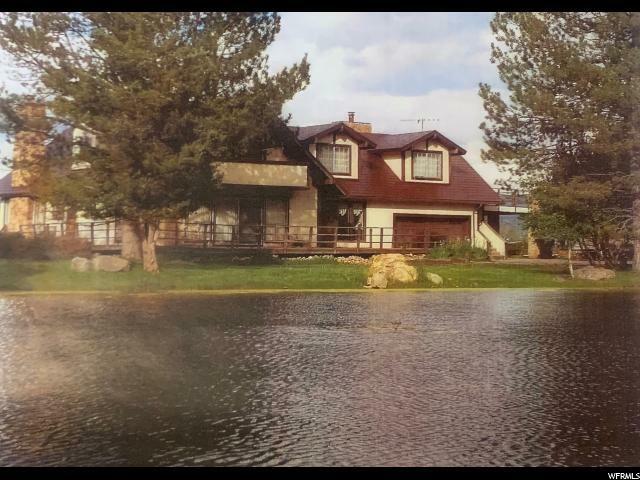 The 1972 2,765 sq ft home sits back behind a large, picturesque pond (filled with fish), & is ready for updating, but has been well taken care of. There are 3 separate living quarters, with 2 full kitchens & 1 kitchenette (2 fridges included), 2 full laundry (both with working washers/dryers included). 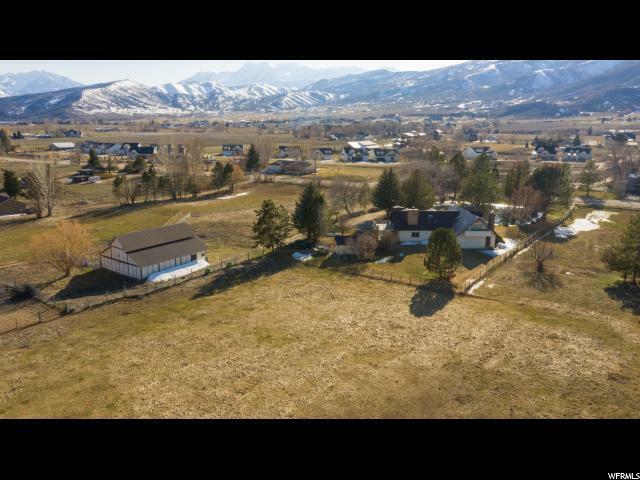 If you're looking for tranquil space with room for your horses, all while having the options of world-class golf, skiing & fishing right outside your front door...look no further. Square footage figures are provided as a courtesy estimate only and were obtained from title searches. Buyer is advised to obtain an independent measurement.